Jak szybko zarobić bo kasy potrzebuje a różne źródła mówią inaczej. Witam Którą postać najbardziej opłaca się kupić? 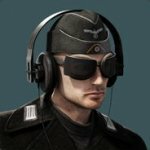 Czy wie ktoś może kiedy będzie Heroes&Generals Prototype? I mean after the battle I have for the Sniper assault ribbon, 100-200 exp for killing a few people. But I had 400-600exp for something called sniperrifle action. The rifle action was even more exp than from killing people. I need to know what factors into Sniperrifle action Because killing people is not part of it. can someone explain sniper rifle action, or any weapon action you get get after battle for exp, is it based off shots fired in a battle, or people hit. I noticed you get more exp for this than you do for killing people. I need to know what it is and how to maximize on it so I can lvl Sniper faster. Getting sick of getting owned because I need 2 shots to kill people.